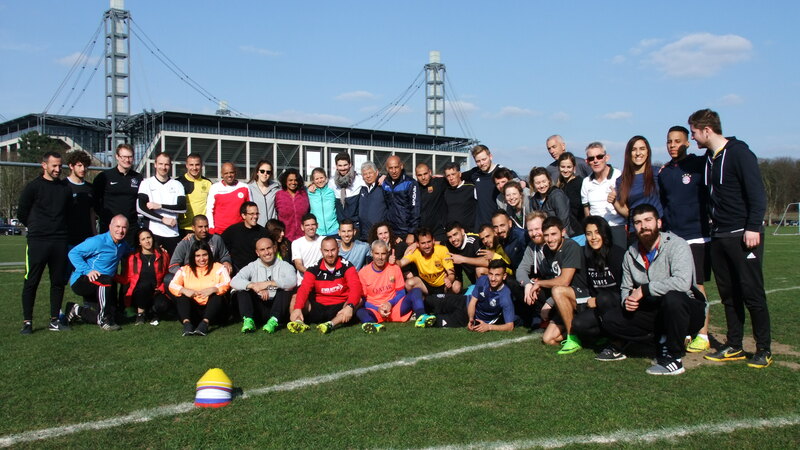 The event took place at the German Sports University in Cologne, Germany and it shared the Football 4 Peace curriculum and methodology in both a practical and theoretical context. Football 4 Peace (F4P) is a multi-dimensional research; education and social engagement platform that utilizes sport innovatively to deliver generic and bespoke ‘values-based’ palliative training and coaching programmes designed in and for areas suffering from high levels of cross- community conflict and various forms of political disorder and social disintegration. enhance life skills, sport skills and technical knowledge. contributing to both undergraduate and postgraduate taught curriculums. Football 4 Peace International now operates in countries such as South Korea, The Gambia, South Africa and both the Republic and Northern Ireland. This entry was posted in Football 4 Peace by Kerry Burnett. Bookmark the permalink.